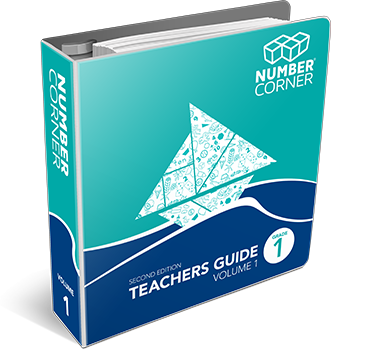 Number Corner Grade 1 Package, 2nd ed. 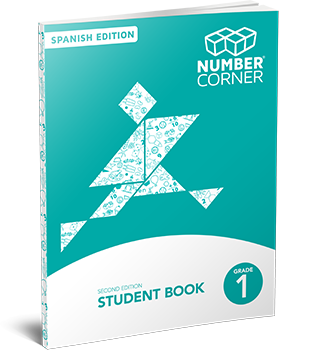 Learn more about Number Corner Grade 1. 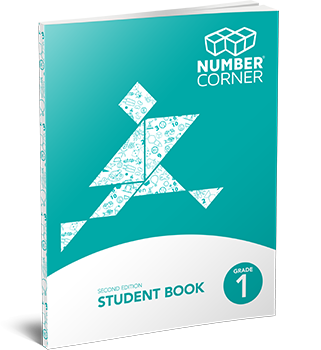 The Number Corner Grade 1 Student Book provides students with opportunities to solve problems, conduct investigations, and practice skills in the context of familiar Number Corner Grade 1 lessons. 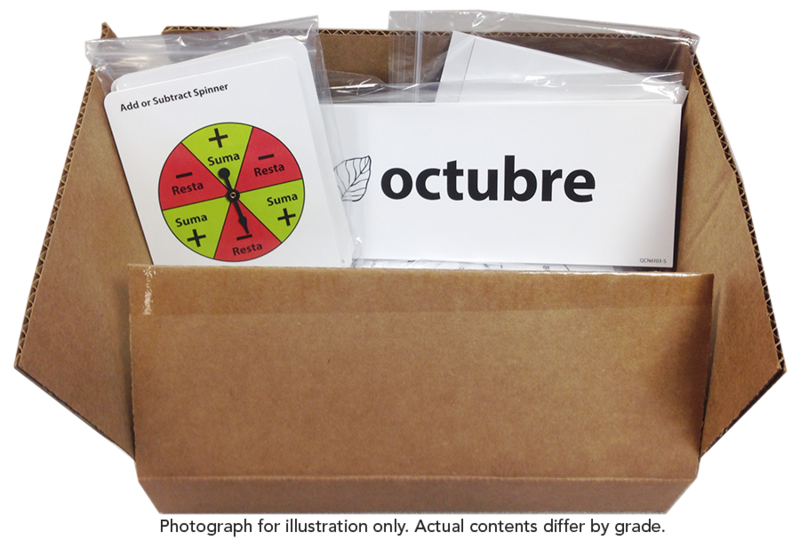 Contains Spanish versions of the mat boards, card decks, spinners, and calendar markers that require translation. Does not include those components without text or those displaying only numbers. 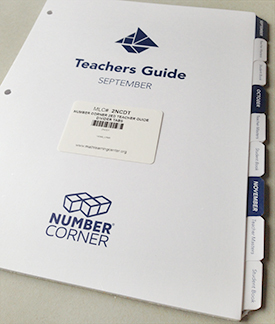 Intended only for use with a Number Corner Grade 1 Package.